From the estate of the late Oppi Untracht. 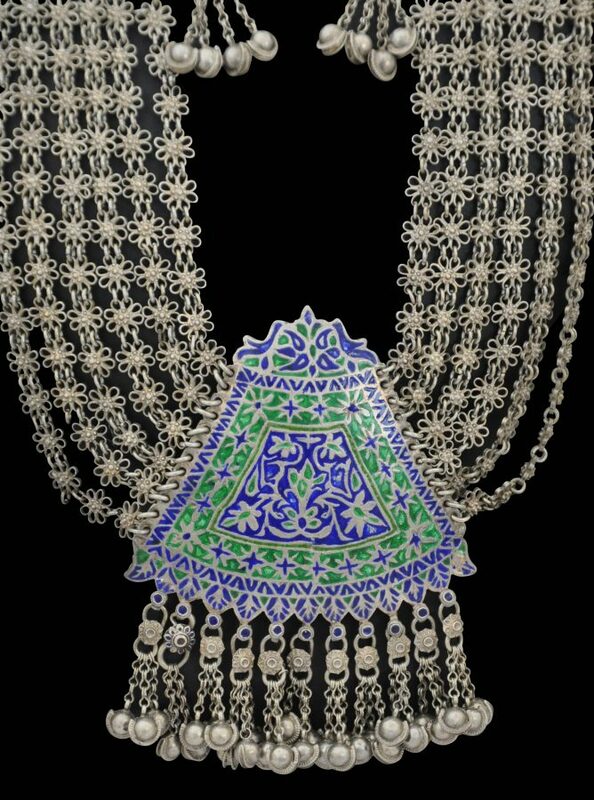 This impressive, large silver necklace is from the estate of the renown Indian jewellery expert Oppi Untracht. 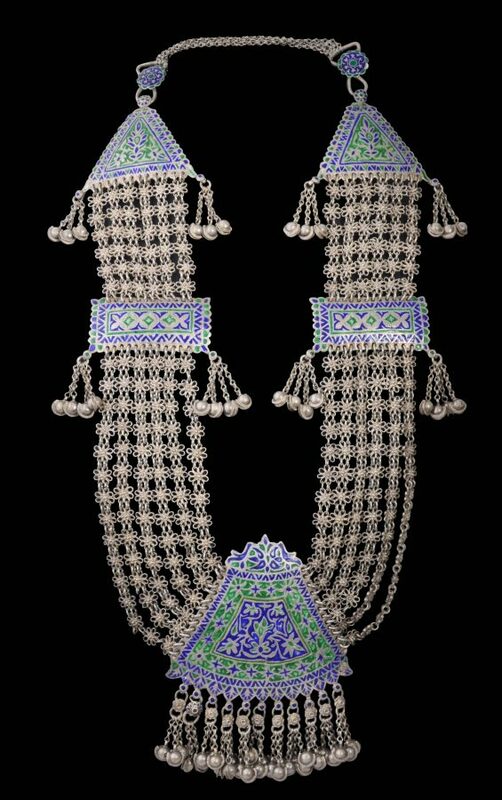 It is also published in his seminal book Traditional Jewelry of India as a full-page illustration on page 356. 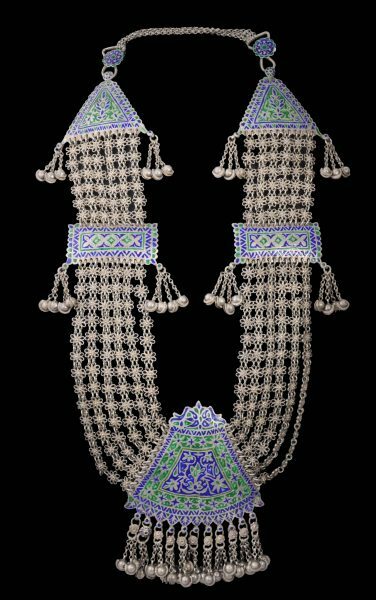 It comprises five silver plates decorated with floral motifs in blue and green enamel work, and joined by multiple chains shaped like daisy chains. Each of the plates is further decorated by having bunches of suspended silver jangles. 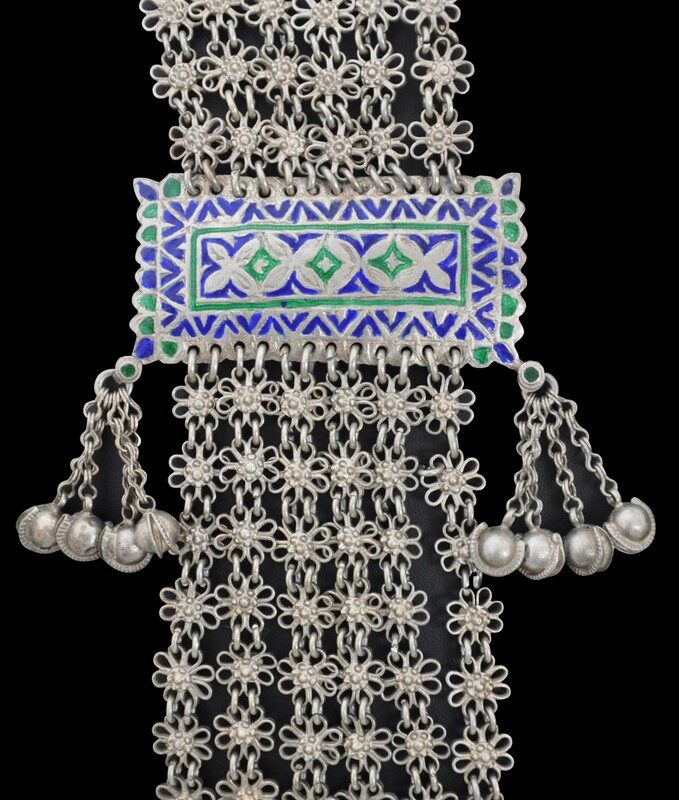 Such a necklace would have been women by women in Himachal Pradesh during festivals. A related example also is illustrated in Hoek (2004, p. 131). The example here is wearable, stable and in excellent condition with only trivial losses and imperfections. Untracht, O., Traditional Jewelry of India, Thames & Hudson, 1997 – page 356.